[Announcement] OnlyBeauty L'oreal Mega Sales is coming to Johor Bahru! 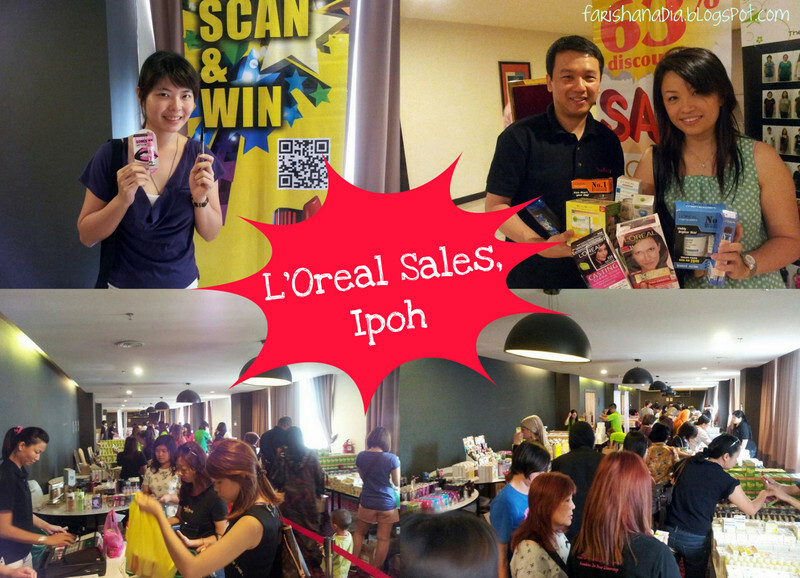 OnlyBeauty is touring Malaysia bringing the awesome L'Oreal Sales to each hot state this year. The next stop would be at Johor Bahru this 26 until 28th July! So, be prepared for their coming L'Oreal Mega Sale in Grand Paragon Hotel!! L'Oreal, Maybelline, Garnier and more!! Wait there's more? Of course! They are giving away Free Maybelline Hyper Diamonds Liquid Liners and BB Lips during the sale event. wow nice post Nala!! thanks for sharing ^___^ !!!!!!! My SPARTY Experience with The Butterfly Project! Lilac Surprise! My Aveda Hair Styling Experience. June 2013 Favorites: Scents Obsession!